The party that has ruled Botswana since independence more than half a century ago faces a historic challenge Friday when it meets to select its candidate for presidential elections in October. For the first time in the history of one of Africa's most stable democracies, the ruling Botswana Democratic Party (BDP) will see a genuine fight for the top job. President Mokgweetsi Masisi is squaring off against an ex-foreign minister, Pelonomi Venson-Moitoi, who is backed by Masisi's predecessor and rival, Ian Khama. About a thousand party delegates are attending a two-day meeting in the small rural Kalahari Desert town of Kang, 400 kilometres (250 miles) northwest of the capital Gaborone. BDP congresses have traditionally been rubber stamps for the incumbent's bid for re-election. "This time around, it's a new experience," Leonard Sesa, University of Botswana political science lecturer, told AFP. Venson-Moitoi's unprecedented challenge against a sitting president could upset the stability of the party and even lead to a split, analysts suggest. 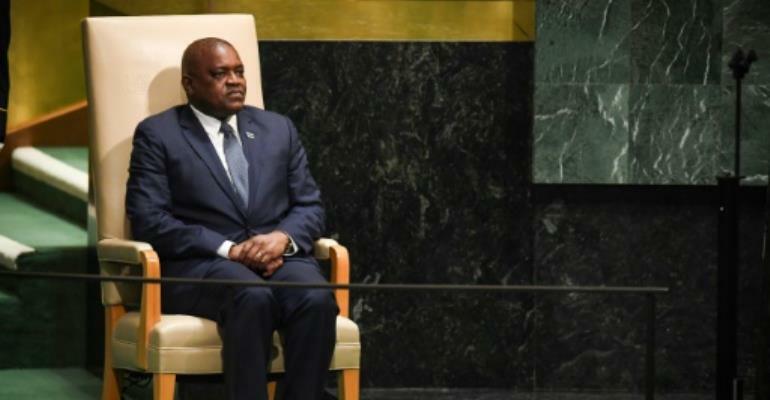 Masisi and former president Ian Khama have fallen out publicly, with Masisi reversing some of the policies introduced by his predecessor. 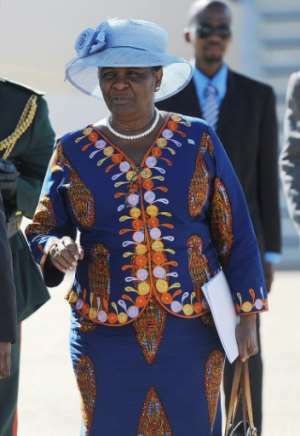 The ex-president has thrown his weight behind Venson-Moitoi, who was fired from cabinet in December after she announced she would throw her name in for nomination. Khama had last year picked his then-vice president Masisi to succeed him after serving the maximum 10 years in office. "He had a nature, a character which I just felt very close to and part of. What I'm seeing now is a totally different person than the one I knew," Khama said. "Regrettably and very unfortunately... I have come to realise that maybe I had misjudged (him) and now we have a situation where there is a bit of a standoff between himself and myself." Analysts believe Khama may be getting uncomfortable amid speculation the Masisi government is set to arrest several of Khama's confidantes -- including one on tax evasion charges and another on accusations of corruption. "He fought for Masisi to become president, so he feels betrayed, let down and he believes he can only be safe if Masisi is no longer president and if Venson-Motoi becomes president," said lawyer and political commentator Anthony Ndulamo Morima. Morima suggests "there may have been some promises or undertakings that were made and which Masisi didn't possibly live up to". "The former president feels betrayed and unprotected, feels exposed, feels vulnerable," said Mosima. The tensions of a genuine competition for the top job may ruffle feathers in the party, but many commentators say such a development is good. "Such a contest is healthy for our democracy," said Morima.